Speeches in Public Health Pharmacology & Tox. | Department of Public Health Pharmacology & Tox. Speeches in Public Health Pharmacology & Tox. Good morning ladies and Gentlemen, I wish to take this opportunity to welcome you all to this training on surveillance and epidemiology of trade-related transboundary animal diseases. Congratulations for winning this training opportunity and please feel at home. I first take this opportunity to thank African Union-InterAfrican Bureau for Animal Resources (AU-IBAR) and University of Naironbi (UON) for facilitating this training and Kenya School of Government for allowing us use their facilities. Special thanks to all your employers in your respective countries for allowing you to come over for the training. 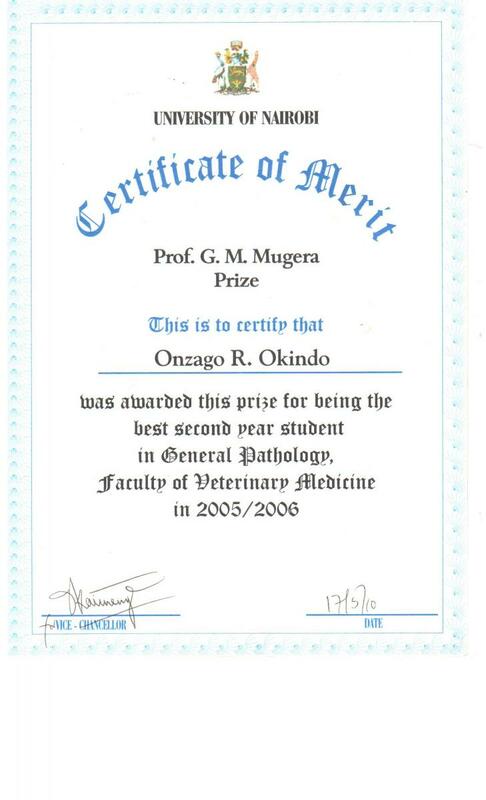 Let me recognize the presence of Dr. Peter Ithondeka, Kenya’s immediate former Director of Veterinary Services, and I wish to thank him for finding time to grace this occassion. Livestock production and trade play a key role in supporting livelihoods, food security and economic growth in the Inter-Governmental Authority on Drought (IGAD) member states and African region in general. The IGAD region is made up of arid and semi-arid lands dominated by livestock resources. However, the region faces challenges of trade related Trans-boundary Animal Diseases (TADs) that impact on livestock production and trade. The impact of TADs is aggravated by differing animal health regulations amongst the countries of the region, uncoordinated disease surveillance and control programs and recurrent livestock trade bans by importing countries for fear of introduction of TADS. This training is intended to enhance the capacity of IGAD member states in disease surveillance, epidemiological investigations and reporting and laboratory safety and management. It aims to update the knowledge and skills of animal health professionals in surveillance and epidemiology of TADs. It will strengthen disease control interventions and enhance emergency disease response to better control and prevent spread of transboundary animal diseases. This will facilitate trade in livestock and livestock products. It is hoped that the training will enhance communication, information sharing and regional cooperation among veterinary departments of African states for harmonized and coordinated animal health program across our national borders. The training is comprised of nine modules designed to run for a period of 3 months (One week per module). The training period is divided into three phases. All trainees will be required to return to their home countries/work stations to carry out practical exercises to be given by the instructors for which you will be required to submit a report when they return. Topics will be given to you towards the end of phase 1 just before you leave to your respective countries. NOTE: Teaching Schedules will be provided for each module as we go along. b) Case studies: This will be used by the instructors to illustrate actual experiences on the ground. Trainees can also share their experiences in this regard. d) Practical: Practical demonstrations will be organized where necessary for trainees acquire the required skills. e) Participatory learning - Interactive learning will be encouraged as much as possible. Instructors with appropriate expertise for the various modules have been identified from within the University of Nairobi, Ministry of Agriculture, Livestock and Fisheries, Non-governmental organizations and where necessary from the region to implement this training program. There will be an examination and course evaluation after each module. Enhanced knowledge of animal health delivery systems and their contribution to TADs management. Creation of important networks and partnerships among veterinary staff in the region. I wish to welcome you once again to this training and for those from outside Kenya. This is the speech the Chairman gave during the closing ceremony for the certificate training in meat hygiene and quality assurance at IGAD Sheikh Technical Veterinary School, Somaliland. Click on the speech link belw to download.